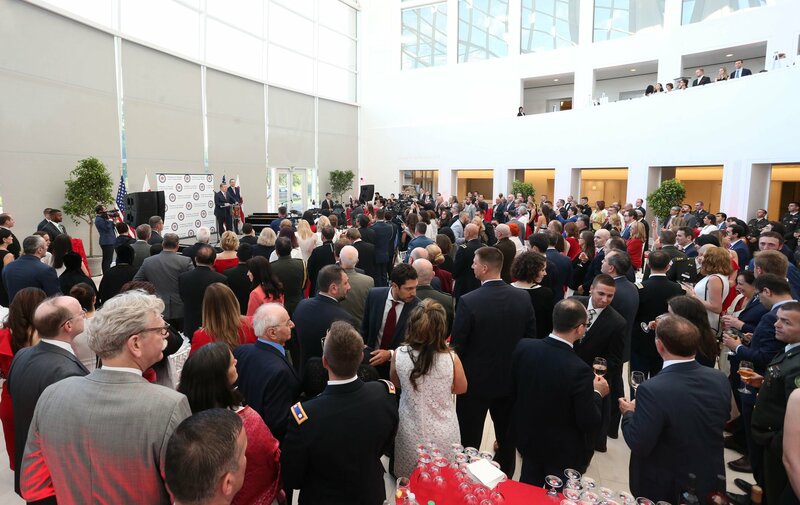 Reception has been held at the US Institute of Peace (USIP) to celebrate the 100 years since the establishment of the First Democratic Republic of Georgia. Event was attended by representatives of political circles, civil society and international organizations, diplomatic corps of the USA. It has been an honor to be with you at the conference today related to strategic partnership between United States and Georgia as we also celebrate very soon the 100 Year Anniversary since the establishment of the first Georgian Democratic Republic. And I need to say that it has been a great visit. 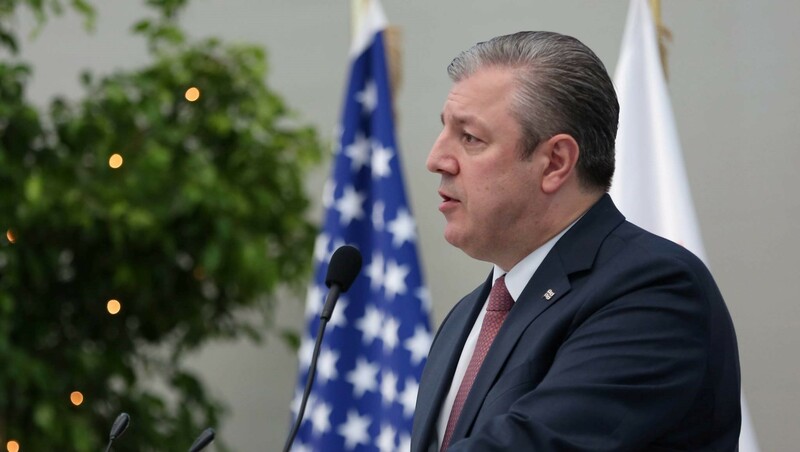 During these days as we jointly convened the Plenary Session of US-Georgia Strategic Partnership - Joint Commission - together with Secretary Pompeo as we heard unambiguous, clear messages all supporting Georgia's independence and territorial integrity, listening to the comments and statements of Congressmen, Senators, friends of Georgia here at the Institute of Peace and finally and most importantly meeting the Vice-President Pence just an hour ago and reinforcing from his side the messages of support to Georgia, vitally important messages, existential for Georgia at the background, which we have in our region, we are extremely grateful for this vitally important support that we have been enjoying from the United States during these years. And I see many friends of Georgia in this room, probably the highest concentration of friends of Georgia per square meter, and it makes me so glad and so optimistic about our joint future. One hundred years may be a short time given Georgia's thousands of years of history, but so much has happened to make that period memorable and consequential. During much of that time we had to weather dark and difficult days and I remain in owe to the resilience of the Georgia people in the darkest hours we Georgians never ceased to feel the warmth of friendship and support from many of you here in this room today and for many who are unfortunately no longer with us. When we think of strategic partnership, we must remember those who did so much to build it: Zbig Brzezinski, Paul Henze, Bob Walsh, Bill Odom, John Shalikashvili, the Zaldastani brothers, Alexander Kartveli and others - Thank You! - all of them live eternally in Georgia's collective memory. From the beginning of our relationship, Georgia has been the beneficiary of many accomplished Americans. You have sent us savvy diplomats and offered us the exceptional services of experts from USAID, OPIC, MCC and other great American institutions to help us rebuild and succeed. Our debt to Congress and to successive presidential administrations is enormous. We would not be who we are today without your support. We are deeply grateful. To the speakers today, thank you for your ideas and words; and to our host organizations for organizing this extremely important conference, US Institute of Peace and Heritage Foundation, thank you - Thank you - for your support to Georgia. In July this year, Tbilisi will host Open Governance Partnership Summit, which is a clear testament of Georgia's democratic transformation and successes achieved in the institution-building process. Many of you in this room, are true shareholders of these achievements. I stand here today with great hope and confidence for the future. The next 100 years of our shared strategic partnership with the United States will only build upon the last 100 years. Our vision and values are deeply intertwined: a peaceful, secure, and prosperous world where all of us can live in freedom. I would like to say special thanks to Senator Young for attending a very special event for us as we celebrate 100 years of democracy in Georgia. And now I would like to ask you to join us in a reception to celebrate a very important date for Georgians and for our friends and first of all for Americans. And once again thank you very much!